Coles Bay is a gem hidden off the east coast of Tasmania. 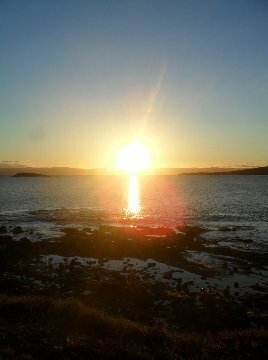 Abounding with stunning beaches and surrounded by a dramatic skyline of granite mountains known as The Hazards, there is no denying that Coles Bay is one of the most beautiful places one could ever hope to visit. Coles Bay is home to fewer than 500 people, yet frequently attracts visitors from the rest of Tasmania who recognize its potential as a fantastic holiday destination. Despite the small population of Coles Bay, there is an abundance of activities for holiday-goers to benefit from. One of the most enjoyable activities available is the Wineglass Bay Walk. Nestled within the Freycinet National Park, this walk is a tough uphill climb on a roughly constructed path through rocky terrain and is therefore not suitable for those with health concerns. If, however, you want to challenge yourself, the feeling of immense satisfaction you get once you arrive at the lookout is unbeatable. The crystal clear and piercingly blue water of Wineglass Bay (so named for its uncanny resemblance to a wine glass) is hugged by stretches of white sandy beach and nestled within a stunning mountainous wilderness. Another highlight of Coles Bay is the wide assortment of beaches. Once again venturing into the depths of the Freycinet National Park you will find Honeymoon Bay, a picturesque little spot popular with couples as well as those wishing to snorkel in the perfectly clear water or picnic either on the beach or perched on the rocky outcrops surrounding the beach. 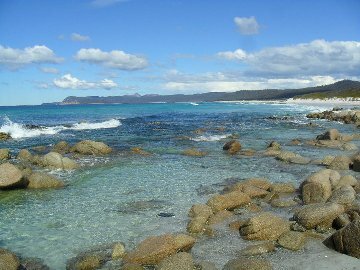 A little drive out of Coles Bay will bring you to Friendly Beaches to the northeast of the Freycinet Peninsula. These beaches boast clean, beautiful and incredibly fine white sand, water that appears many bright shades of blue and a group of rock pools perfect for exploring. Muirs Beach is definitely worth a visit. It is an incredibly long beach, so it’s easy to find a spot in which to spend the day overlooking the ocean. This beach is also dog-friendly and frequently attracts surfers, body-boarders and windsurfers who appreciate the slightly larger waves found here. The beaches of Coles Bay offer frequent opportunities for those in favor of water sports. It is possible to find beaches with slightly larger swell if surfing is your sport of choice. However, many of the beaches offer a much calmer atmosphere and therefore attract kayakers, snorkelers, divers and sailors. After days of exploring and enjoying the various coastal adventures of Coles Bay, what could be better than to sit down to a meal at one of the Bay’s dining establishments? If you want to sample intricate, imaginative and flavorsome dishes, the Freycinet Lodge will definitely satisfy. The menu offers a wide variety of fresh fish, delicious meats and sumptuous desserts. A speciality of the Lodge is oysters, caught in nearby Oyster Bay. If you’re after a more casual and relaxed dining environment, the Iluka Tavern serves up similarly fresh food but cooked and enjoyed in a homely and friendly restaurant/pub. Of course, there is also the popular option of heading to the bakery or store to pick up some local treats and compiling a picnic to enjoy on the beach. Coles Bay is a wonderful place to visit. The stunning scenery, array of activities, and relaxed and laid-back lifestyle of the people (as well as great food and drink) make this a perfect holiday destination and one that is, as of yet, largely unexplored.